This is a beautiful card. Very elegant. Absolutely gorgeous. Sylvie your card is lovely very elegant and different. 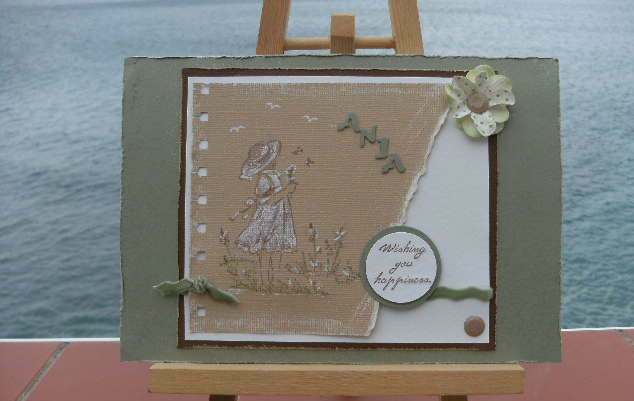 I like to see cards made using kraft card. Fabulous card, I like the image its elegant and i agree with Juls i like the way it looks torn out of a pad. What a gorgeous card I love the effect you've achieved on this - don't think I've seen anything like it before - how clever are you! I love it.